MONTGOMERY, AL (WSFA) - Ramone Nickerson, 33, was sentenced to federal prison for a drug trafficking offense. 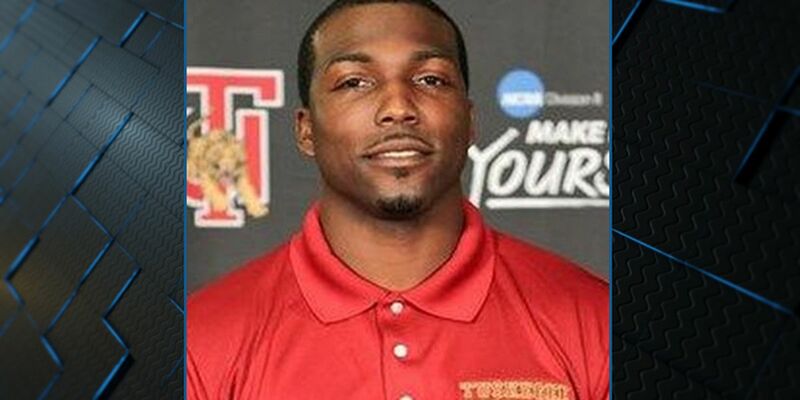 The former Tuskegee University Coach and standout football player stood before Judge Emily Marks and gave a tearful apology to his family and those impacted by this crime. Nickerson was arrested in March and charged with three counts after he was found with 3 ounces of cocaine, a pound of marijuana and a handgun on March 13 in Russell County. Nickerson was accused of selling drugs in the Tuskegee area. In May, Nickerson pleaded guilty to one count of possession of a firearm in furtherance of a drug trafficking offense, the remaining two charges were dismissed. Nickerson has no criminal record or history of arrests. Tuesday Nickerson’s attorney said the defendant resorted to crime after he vowed to pay for his niece’s funeral but couldn’t pull together the finances. Nickerson's sister and mother gave tearful pleas to the judge to spare their loved one from prison. Nickerson's mother stated this was not the man she raised, and asked the judge to allow him to raise his young son who desperately needed him at home. Ultimately the judge sentenced Nickerson to 37 months in prison, which was the lowest possible sentence in the given sentencing range. Following Nickerson's release he is required to complete three years of supervised probation.